You have lived in your home for a decade. Now, it’s time to update the house. Usually, that means a fresh coat of paint, new kitchen countertops and an upgrade to your used appliances. Those are all great choices to refurbish an old abode into a home that’s the envy of the neighborhood but when you get right down to it, an updated bathroom is what you really want. You can easily envision those long, hot showers amidst gleaming porcelain or reading your favorite romance novel in a luxurious bubble bath. You will not be at loss to find bathroom remodeling ideas. Unfortunately, many of these remodeling ideas will come with sticker shock. In 2012, the National Kitchen & Bath Association reported that mid-range master bathrooms cost about $16,552 while upscale undertakings can average upwards of $52,000. That’s a pretty wide range. Plus, if you are financially savvy you need to price your dream bathroom according to how much the house itself is worth. According to Consumer Reports, an entire master bathroom makeover should cost no more than 5-10 percent of your home’s value. You can remodel and spend thousands of dollars or you can refinish many parts of your bathroom at a fraction of the cost. There is no right or wrong choice. If you have the money, splurge and get the master bathroom of your dreams. It is a good investment if you can afford it. But if tens of thousands of dollars is beyond your reach, or even if you have the money stuffed in your mattress, you still might want to explore bathroom remodeling alternatives, such as refinishing the bathtub at a fraction of the price of replacement. Let’s look at some of the costs and issues involved in the various bathroom remodeling ideas that you consider. Even replacing just a bathtub, which you can buy for a mere $300 at your local home store, can run $3,000 after you hire the contractor, plumber and other professionals. There is also a time factor. Tearing out the old bathroom can take weeks and permits will often be needed. And that’s just for a bathroom remodel without any unforeseen problems. You should always budget for the unexpected. Yet, if you combine a little DIY know-how with hiring a professional bathtub refinishing company, you can get the look of an extreme makeover without mortgaging your future. Update towel bars, hooks, toothbrush and toilet paper holders and cabinet hardware. Add matching shelves for your towels and toiletries. Switch your standard showerhead to one with multiple settings, including a pulsating or massage option. Now combine the above $1,000 bathroom makeover with hiring a professional bathtub and sink refinishing company to update your sink, bathtub and wall tiles and you can get the look and feel of a five-figure renovation job for around a couple thousand dollars and with dramatically less time and disruption to your household. You may be tempted to cut corners and avoid the pros to a save a few bucks. But that’s a mistake. There are many DIY projects you can successfully undertake in your home, but bathtub and sink refinishing is not one of them. If you buy a refinishing kit you will often be dealing with noxious toxic chemicals plus, according to most experts online, you still won’t be able to get the smooth bathtub finish you desire and it’s likely to peel up in no time flat. Total Koatings Inc in Sarasota is a bathroom refinishing company that offers you a true porcelain finish for the bathtub, shower, sink and even countertops at a fraction of the cost of an extreme makeover. Plus, the company, which is locally-owned, uses non-toxic chemicals and offers a five-year warranty. They are a franchise of a sixty years old company and have been in business successfully since 2006. 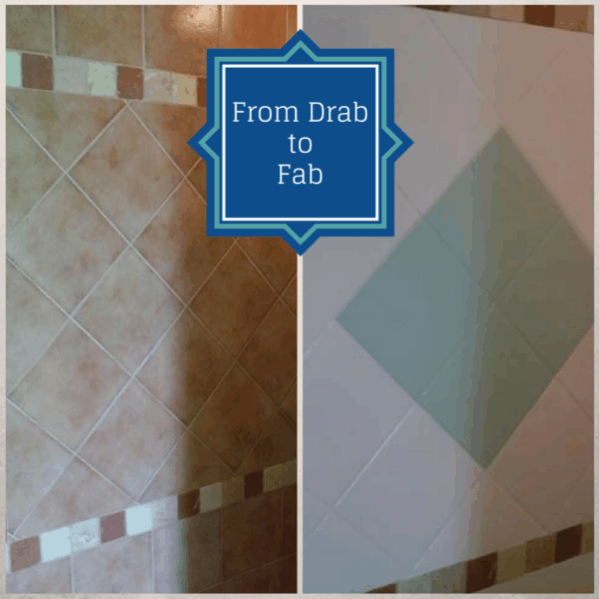 Total Koatings can restore any type or style of bathtub or shower and redo any sink or wall tile surrounds as well as refinish fiberglass surfaces, countertops or repair any other chips and cracks. For a free quote, call 941-870-0369 or fill out this form. House at 1405 Venetia St., Nokomis, FL has a bathtub with rusty places. Jeff Tomalin, plumber, recommended you. I would like a free quote to have the tub made to look better. Thanks for the interest Doreen. If you use the above link for the form we can help you out. Thank you for posting this brilliant article. Next Next post: Why Choose Bathtub Refinishing Over Bathtub Replacing?